Ah Leng Char Koay Teow is one of the popular Char Koay Teow Stalls on Penang Island. It is located infront of Khoon Hiang Cafe at the junction of Jalan Dato Keramat and Jalan Dunlop. Please do take note of the Prices before you order your Char Koay Teow. Strongly recommend to have your Char Koay Teow fried with Duck Egg. It tastes much better than Chicken Egg and also 'lemak'. Ah Leng has a branch at No. 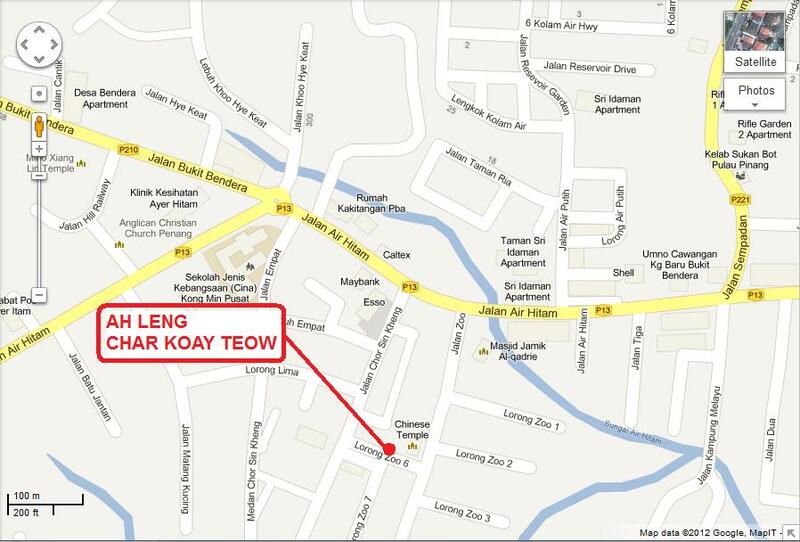 30-W, Jalan Chor Sin Kheng, Air Itam, 10050 Penang. Labels: Ah Leng Char Koay Teow, Char Koay Teow, Penang.